Looking for more information regards our Periodic Inspections & Electrical Installations services? Browse our frequently asked questions and help topics. If you you still require more information please feel free to contact us. 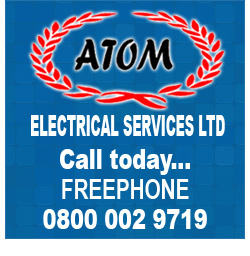 If you have forgotten your password to access your ATOM Electrical account simply go to my account and look for the Forget Password link. You can enter your account email and postcode to retrieve your password. You will be automatically emailed your password to access your account. YES. To view your certificates online you require Adobe Reader installed on your PC. Adobe is free software that is pre-installed on your PC when you purchase a computer. You can download the latest version of Adobe Reader direct from the Adobe website.